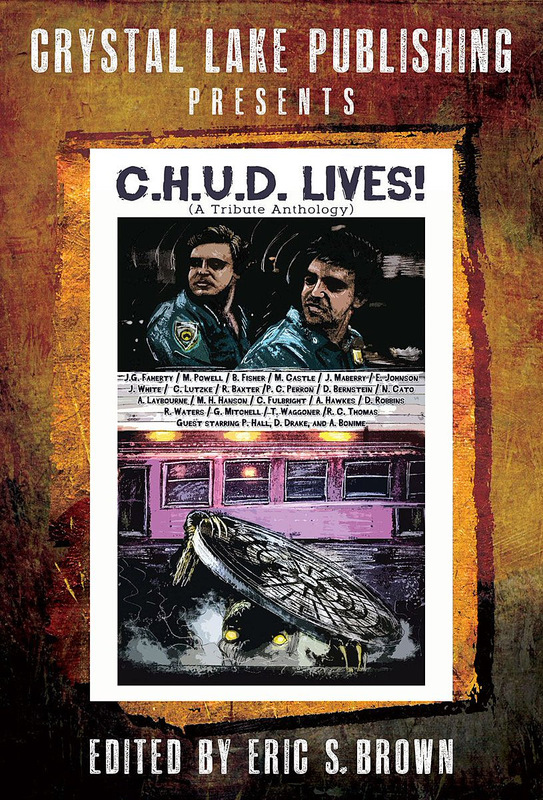 THE B-MOVIE NEWS VAULT: Crystal Lake Publishing Revives C.H.U.D. in New Tribute Anthology E-book & Paperback! Crystal Lake Publishing Revives C.H.U.D. in New Tribute Anthology E-book & Paperback! "C.H.U.D. LIVES: A TRIBUTE ANTHOLOGY" OFFERS UP A COLLECTION OF TALES THAT TAKE PLACE WITHIN THE UNIVERSE OF THE 1984 CULT CLASSIC! ADD IT TO YOUR LIBRARY ON APRIL 27TH! This can't be a coincidence Vault Dwellers! A mere day before C.H.U.D. (and its "sequel") play at this year's Salt City Horror Fest, a book featuring new stories set within the C.H.U.D. 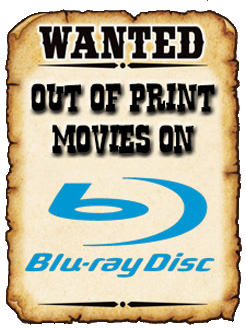 movie universe is set to be released! As an avid fan of the film (which features flesh-eating, radioactive monster-hobos and TWO actors from the original HOME ALONE movies), this is definitely an unexpected treat! C.H.U.D. is a genre defying, cult classic film featuring monsters living in the sewers below New York. The stories in C.H.U.D. Lives! expand the world created by the film and add depth to the C.H.U.D. universe like never before. From stories of apocalyptic horror and all out monster action, to tales of underground parties interrupted by uninvited guests and evening strolls that end in death, this anthology will leave you both smiling and breathless. C.H.U.D. Lives! was compiled by Eric S. Brown and features an introduction by David Drake, and dedicated in loving memory to producer Andrew Bonime. 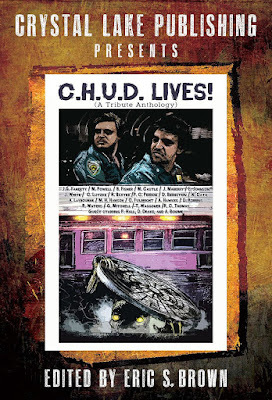 The book includes C.H.U.D.-related stories by Jonathan Maberry, Tim Waggoner, JG Faherty, Mort Castle, Michael H. Hanson, Martin Powell, Ben Fisher, Jason White, Chad Lutzke, Ross Baxter, Philip C Perron, David Bernstein, Nick Cato, Alex Laybourne, Christopher Fulbright, Angeline Hawkes, David Robbins, Robert Waters, Greg Mitchell, Ryan C. Thomas, and Eugene Johnson. Interview with the late Andrew Bonime. Interview with Parnell Hall (screenwriter) by Eric S Brown. C.H.U.D. Lives! A Tribute Anthology is being released by Crystal Lake Publishing to paperback and Amazon Kindle on April 27th! Pre-orders for the paperback are not up just yet, but you can pre-order the Kindle Edition for only a mere $3.99! (Unless you've signed up for a Kindle Unlimited plan, then it's FREE!) To learn more about this upcoming book, scope out the discussion panel below which features Eric S. Brown, David Drake, Michael H. Hanson, and Martin Powell!